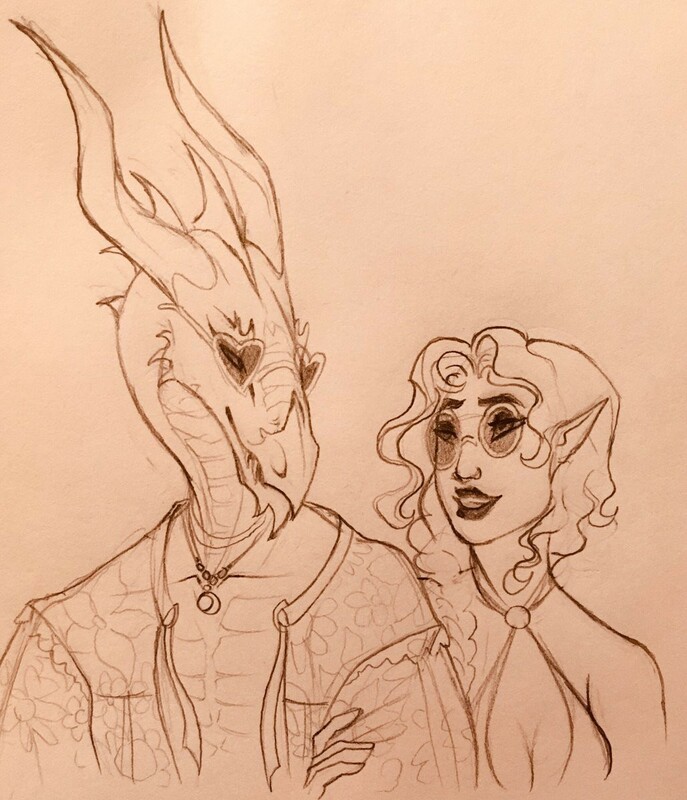 Image description: A dragon and a female elf as a couple. In the first picture, the dragon is resting his head on the elf's head. She looks just a bit annoyed. 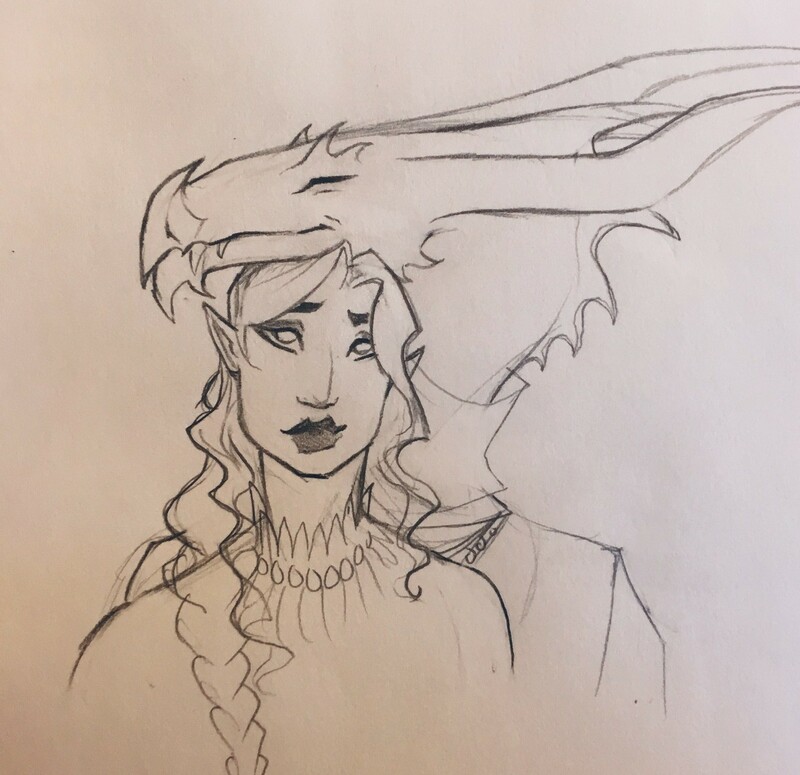 In the second picture, the couple are now older, the dragon's horns are longer as well as the elf's ears. The dragon is wearing heart shaped glasses and pompous open-chest clothes while the elf is wearing a skimpy but elaborate dress with diamond cleavage, and round glasses. She's holding his arm and smiling at him. I love these drawings. The characters have so much personality! They're indeed unique, nothing like I've ever seen before.